Pitzer College is located in the city of Claremont, a Southern California community of some 35,000 residents noted for its tree-lined streets and numerous parks. Situated at the southern base of the San Gabriel Mountains, with Mt. Baldy, a 10,000-foot mountain-peak, rising above it, Claremont is about an hour’s drive from downtown Los Angeles, the Pacific Coast beaches, the desert highlands and other snow-capped mountain ranges. Travel west on I-10 (towards Los Angeles). Exit on Indian Hill Boulevard going north (towards the mountains) for about 2 miles. Turn right onto Foothill Boulevard. Turn right onto Claremont Boulevard, which is the third stoplight. Turn right onto Ninth Street. The Pitzer visitor parking lot will be directly on your right (East Mesa parking lot). Take the CA-1 south/Sepulveda Boulevard towards I-105. Take the I-105 east (Imperial Highway). Take I-605 north. Take I-10 east (towards San Bernardino). Exit on Indian Hill Boulevard going north (towards the mountains) for about 2 miles. Turn right onto Foothill Boulevard. Turn right onto Claremont Boulevard, which is the third stoplight. Turn right onto Ninth Street. The Pitzer visitor parking lot will be directly on your right (East Mesa parking lot). Take I-15 north. Take I-10 west (towards Los Angeles). Exit on Indian Hill Boulevard going north (towards the mountains) for about 2 miles. Turn right onto Foothill Boulevard. Turn right onto Claremont Boulevard, which is the third stoplight. Turn right onto Ninth Street. The Pitzer visitor parking lot will be directly on your right (East Mesa parking lot). Take the CA-57 freeway north (towards Pomona). Take I-10 east. Exit on Indian Hill Boulevard going north (towards the mountains) for about 2 miles. Turn right onto Foothill Boulevard. Turn right onto Claremont Boulevard, which is the third stoplight. Turn right onto Ninth Street. The Pitzer visitor parking lot will be directly on your right (East Mesa parkinglot). Take I-210 east to Towne Exit. Turn right (south) to Foothill Boulevard. Turn left onto Foothill Boulevard. Turn right onto Claremont Boulevard. Turn right onto Ninth Street. The Pitzer visitor parking lot will be directly on your right (East Mesa parking lot). Exit on Indian Hill Boulevard going north (towards the mountains) for about 2 miles. Turn right onto Foothill Boulevard. Turn right onto Claremont Boulevard, which is the third stoplight. Turn right onto Ninth Street. The Pitzer visitor parking lot will be directly on your right (East Mesa parking lot). Take I-210 east to Towne exit. Turn right (south) to Foothill Boulevard. Turn left onto Foothill Boulevard. Turn right onto Claremont Boulevard, which is the third stoplight after Indian Hill. Turn right onto Ninth Street. The Pitzer visitor parking lot will be directly on your right (East Mesa parking lot). Parking for the Office of Admission is in the East Mesa parking lot. The Office of Admission is located on the first floor of Pitzer Hall, the building closest to the parking lot. Bringing your electric car to campus? Electric vehicle charging stations are available for our guests directly in front of the Office. Please stop by the lobby of the Office of Admission for an access card. Ontario International Airport is located 15 minutes from campus. Many major airlines service Ontario, including Alaska Airlines, American Airlines, America West, Delta Airlines, Fronteir Airlines, Southwest Airlines, United Airlines. Commercial shuttle service to campus is available. Los Angeles International Airport (LAX) is located about one hour and 15 minutes from campus (assuming minimal traffic). Most major airlines service LAX. Commercial shuttle service to campus is available. John Wayne International Airport (Orange County) is located in Newport Beach, just off the 405 freeway, about 30 miles south of Claremont. Estimated travel time is approximately one hour. If you plan to rent a car for the duration of your stay, below are a few competitively priced agencies in the Los Angeles area. Airport shuttle services are available to the Claremont Colleges and nearby hotels. The cost is approximately $25 between ONT and Pitzer College; $60-100 between LAX and Pitzer College. 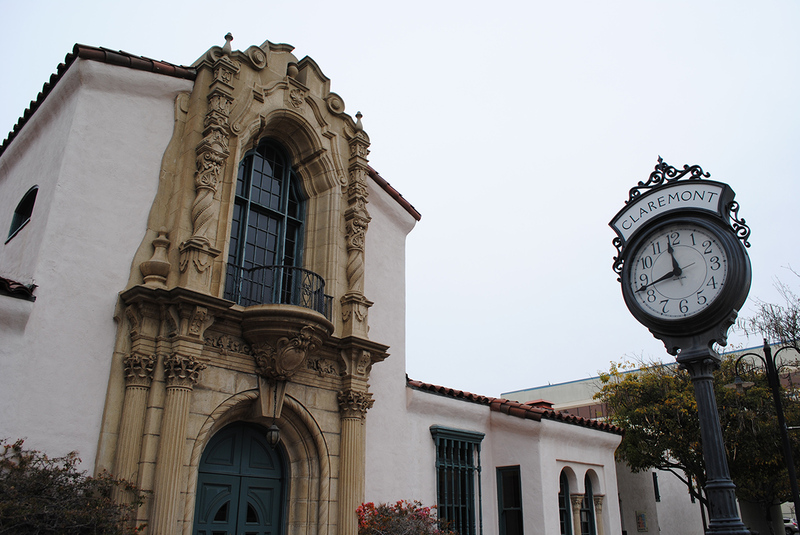 Claremont has a transit center with commuter rail service (Monday – Saturday) and bus service to Union Station in downtown Los Angeles as well as many other Southern California destinations. The transit center is located on First Street between Yale and College avenues, about 12 blocks from campus. Amtrak [Phone: 800-USA-RAIL] The nearest Amtrak station is located on Garey Avenue in Pomona, about three miles from campus. Greyhound Bus Lines [Phone: 800-231-2222] The closest Greyhound depot is located on Indian Hill Boulevard, just south of the I-10 freeway. For a list of hotels and lodging, click here.